FuseClick has continued its journey in the 3rd most successful year so far along with new releases and new features. FuseClick has been listed for the first time in the list of unique marketing technology vendors of 2018 by MarTech 5000. The survey contains one of the most popular vendors in marketing automation and Social media advertising tools. We are proud to announce that, “FuseClick” is the only performance marketing 3rd party tracking platform from Asia to appear in MarTech5000 this year. Martech has been conducting surveys from 2011, which basically portrays current market trends and top market players in the digital marketing industry. This certifies that FuseClick has shown exponential growth in recent times while maintaining trust and integrity of its users. 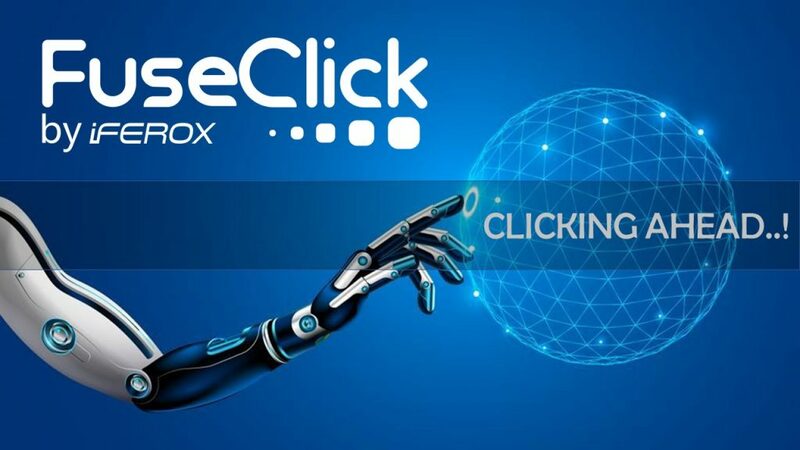 FuseClick is clicking ahead on the journey of becoming a truly global brand. Performance Marketing with FuseClick’s Advanced optimization tools. Performance Marketing is an upgrade to brand marketing. The effect advertisement essentially classifies the results of marketing activities, usually from easy to difficult to include CPC, CPA/CPL, CPS and so on. FuseClick’s advanced optimization tools will help you to go the extra mile in optimizing your campaigns. 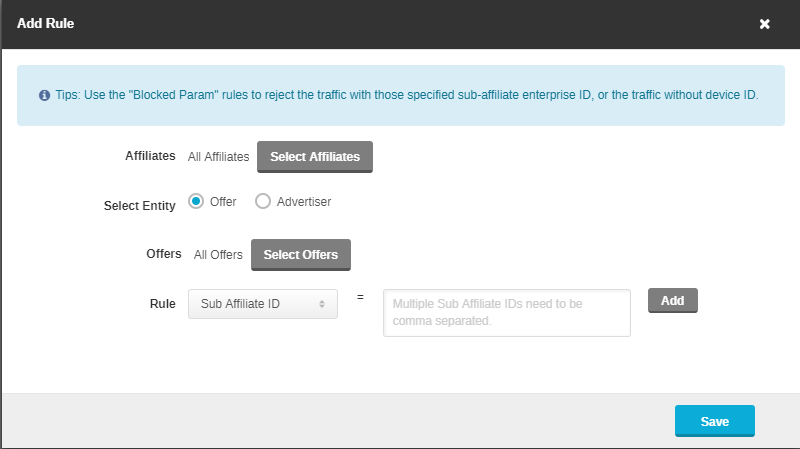 One of the advanced optimization feature in FuseClick, which allows the Affiliate network to create rules for blocking the sub-affiliates traffic without blocking the affiliate. 1. When incoming traffic is very low-quality. 2. When incoming traffic doesn’t fit the requirements. 3. When incoming traffic is Fraud/Junk and CR is very low. 4. When the network wants to block empty IDFA/GAID traffic. Smart Limitation using CR or Conversions. This automation tool helps the Affiliate network by allowing auto pause offers or auto block campaigns after reaching certain CR or conversions. A network always gets the same package name or APPID from different advertisers. While promoting these offers, if traffic doesn’t fit the GEO targeting rules or reach caps, you can open Smart Redirection by App ID. With Smart Redirection by App ID feature, FuseClick will check the traffic within same APPID offers, and redirect to matching offering randomly. This function will reduce the loss of traffic and increase the CR by improving the user experience. We observe price differences while purchasing the traffic from different countries. FuseClick offers Smart Price feature, which helps you to save traffic purchase cost and improve overall ROI. With this feature, you not only can set the unit price for the conversion generated in different countries but also refine the setting scope further for the conversion of the operating system of the device. Flexible Pricing – Choose to pay by Clicks or Conversions! There are market players who misguide people by claiming conversion billing always saves cost. It’s a big myth. For those networks who deliver very high CR will end up paying 2-3 times more if they choose conversions-based pricing. As the CR always keeps on fluctuating based on quality traffic or campaigns availability. So, why not your pricing plan? FuseClick has an answer to this. Introducing flexible pricing option – Where the customer can choose either Clicks or Conversions based billing plan for a month depending on its usage. Parameter Targeting Meet us @Affiliate World China Tour 2018!